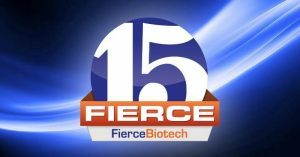 “Congratulations to Turnstone Biologics – named one of FierceBiotech’s Fierce 15! A true Canadian biotech success story! BioCanRx is proud to have Turnstone as our partner in bringing immunotherapy to cancer patients,” – Stéphanie Michaud, President & CEO, BioCanRx. The philosophy of Fierce 15 is a simple one: We want to see the best science combined with the best and brightest management teams, and we want to see the promise that they hold in their hands has, in this industry built on the all-or-nothing of risk and reward, a genuine chance of being the Next Big Thing. When we look at the science, the teams, and talk to their leaders, the key issue is the future: In the next 5 to 10 years, could their product or platform produce something revolutionary and game-changing? Does it have a shot at becoming the new standard of therapy in its respective area? This year’s crop comprises some of the best-funded startups we’ve seen and speaks volumes about the rude health of early-stage biomedical research.